Rambunctious Young Pilgrims “is a U.S. karate pioneer, and the founder and head of Yoshukai International, a world-wide organization of Yoshukai Karate schools.” Not really - but we’re sure that they’d welcome karate dance moves at their performances. The power trio is made up of high school pals Sean Brown, Jesse Appel and Zack Abel, who came together after the break up of their previous bands, and you can learn more about the group in our Featured Artist(s) Poll Winner interview below. Young Pilgrims: We met in high school, and were all part of different bands that broke up. We decided it would be most synergistic if we combined our powers for the betterment of mankind, and stuff. TD: Where did the name Young Pilgrims come from? YP: The Scott Pilgrim film had just come out, and we were very much all about that movie/series. Young Pilgrims was spitballed. We googled, remembered it was a shins song, decided we were okay with that, and the rest is on paper. YP: As a band - Weezer, The Pixies, Modest Mouse. Individually - Rush, mewithoutYou, Spoon, and David Bowie. Sean Brown: Modern Baseball, The Archers of Loaf, and LCD Soundsystem. Jesse Appel: mewithoutYou, Cat Stevens, Andrew Bird, Kishi Bashi, and some classical guys like Bach, Philip Glass, and Yo-Yo Ma’s Silk Road ensemble. Zack Abel: JEFF the Brotherhood, The Clash, Dr. Dog, and Iron Maiden. I tend to study one band or instrumentalist at a time. TD: What’s the first concert that you ever attended and first album that you ever bought? SB: The first album I really remember buying was either Demon Days by Gorillaz or From Under the Cork Tree by Fall Out Boy. The first band I saw live was Rush on the Snakes and Arrows tour. JA: State Radio was the first band I saw live, back in Junior High. I can't remember what the first album I bought was, but I’m tempted to say it was a Muse album. ZA: Y100 Feastival 2004: Franz Ferdinand, The Hives, Jimmy Eat World, and Good Charlotte. Green Day’s Dookie was my first CD. TD: What are your plans for 2013? YP: As a band, our plan for 2013 is to finish recording this next thing, and put it out, and play it live, and etc. 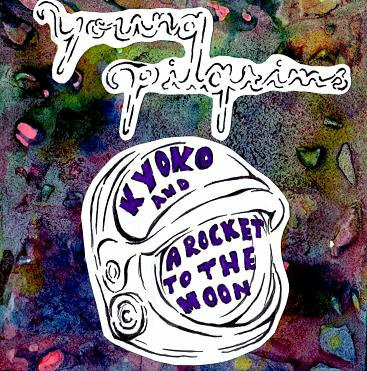 YP: We once played a show at an awful bar in Oreland, and managed to get the whole crowd to slow dance to our slow songs. That was a mighty fine performance we reckon. SB: Breakfast sammy on a kaiser with Monterey jack, scrambled eggs and sausage. ZA: Cheesesteak. Not a Philly cheesesteak. Just a cheesesteak.